Ms. Strong joined Athyrium in 2016 and currently serves as Vice President, Finance. 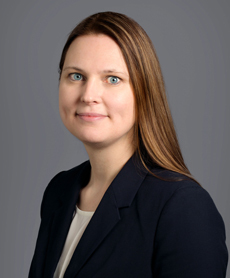 Prior to joining Athyrium, Ms. Strong was a Vice President at JPMorgan Chase & Co. where she worked as a Fund Controller for the Global Access Portfolios, covering both hedge fund-of-funds and multi-asset vehicles. Before joining J.P. Morgan, Ms. Strong was a Vice President at Goldman Sachs & Co, where she worked as a Fund Controller from 2005 to 2013, supporting the Goldman Sachs Private Equity Group. Ms. Strong began her career with Arthur Andersen in Norway. Ms. Strong graduated with a degree in Economics and Business Administration, specializing in Finance, from the Norwegian School of Economics in 2001.